There is not much in legends here but in the Franco Indian war of 1788 the temple was razed to the ground and rebuilt in 1899 by Dewan Kandappa mudaliar a local patron and the towns folk. Today I had a whirl wind visit of three temples in Pondicherry on a visit. The dwajastambha has 3 nandis around it one facing the Shiva linga the other two at right angles facing each other one is a bigger one and the other facing a small calf is referred to as prasava Nandi one who helps deliver as in child birth and women pray here for a safe delivery. The walls of the shrine have the Koshta vigrahas, Ganapathy, Dakshinamurthy , Perumal,Brahma and Durga. The Koshta vigrahas are all small and there is a huge sannidhi for the 63 nayanmars which is well lit and organised. The Durga sannidhi is very well maintained with grill gate and the idol itself is warmly welcoming with a benevolent smile. Today 14/1/18 being a local holiday due to Pongal festival I had the opportunity to visit this ancient temple in the middle of Chennai. Pudupet is more known for the motor spares, scraps and automobile industry and an ancient temple here is a wonder. 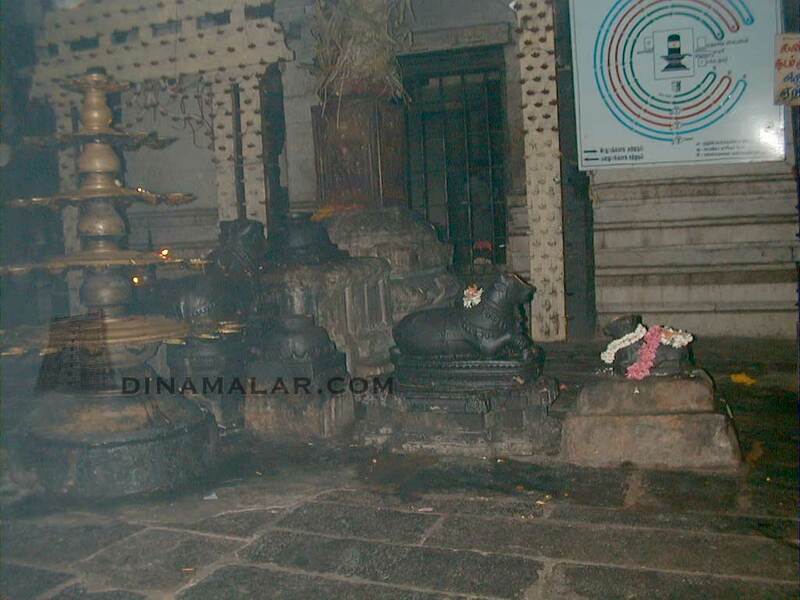 The famous dubash of Madras patchaiappa mudaliar lived here and was supposedly taking bath in the river and praying to this lord daily.